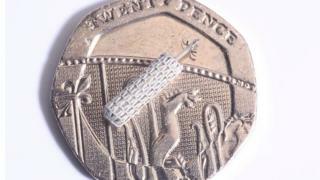 A grandmother has been fitted with a wireless pacemaker the size of a grain of rice. Doctors say Joan Smith, 71, is one of the first patients outside of clinical trials to be fitted with the revolutionary device. The former council receptionist had the operation at Middlesbrough's James Cook University Hospital in February. She had gone through two previously unsuccessful attempts to have a conventional pacemaker fitted. Mrs Smith, who was diagnosed with cardiomyopathy 21 years ago, said: "I feel as if I'm a new woman." "I didn't feel any fatigue at all and it had been fatigue that I had been feeling previously - not breathlessness like some people experience. Doctors stabilised her with medication for 20 years, but last year she was told she needed a pacemaker. She was fitted with a new type called a WiSE pacemaker, which is implanted directly into tissue that lines the left chamber of the heart. Like a conventional unit, it controls abnormal heart rhythms using low-energy electrical pulses - but without the need for wires. Simon James, consultant cardiologist, said: "For Joan, as soon as the device was switched on there was a huge change in the pumping of the heart. "Her blood pressure went up from the moment it was switched on so we felt confident she would begin to feel better quickly. "The technology enables us to fit the device exactly where an individual patient needs it, which could increase the number of patients who respond to this therapy, helping them to live a longer, more active life." A spokesman for South Tees Hospitals NHS Foundation Trust said James Cook was one of the first hospitals to take advantage of the new type of treatment outside of a research study.